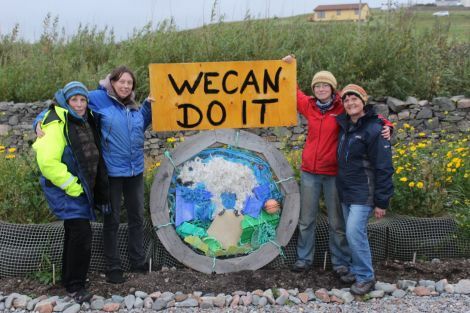 A GROUP of women in Shetland have started a campaign to raise awareness about climate change in the islands through creative actions. Da Wives Atween Wadders (WAW) gathered for the first time in Hillswick this week to create a collage from rubbish they found on a local beach. 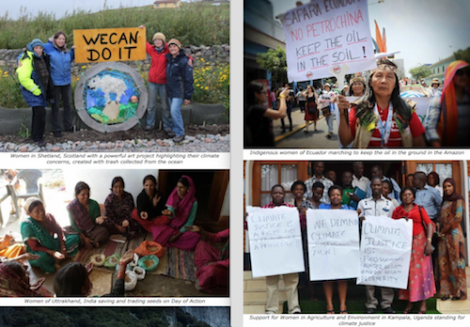 A photo of the group with their image of a polar bear balancing precariously on a melting iceberg is one of hundreds that have been posted from around the world on the Women’s Earth and Climate Action Network (WECAN) website. Now WAW are planning a series of efforts to address food waste and packaging, as well as trying to reduce the amount of food miles involved with products on sale in local shops. Susan Hinton, from Brae, said: “We want to raise awareness about climate change in a positive way. One thing the group has already done is contact the Co-op supermarket in Lerwick to seek their support to tackle food waste, food miles and packaging. Joy Perino Saloschin, from Vidlin, said that as it was women who did most of the household shopping, they could do much to address these concerns. “As consumers we can make a conscious effort to buy local and demand that the stuff isn’t packaged,” she said. “Supermarkets are using too much packaging, like individual aubergines in a cellophane bag, which is ridiculous. She added that it was “absolutely terrifying” that so many people still regard climate change as a myth. “We just assume that everyone knows about it, because we know about it. But there’s clearly a huge swathe of the population who are either completely unaware or don’t believe that it actually exists. 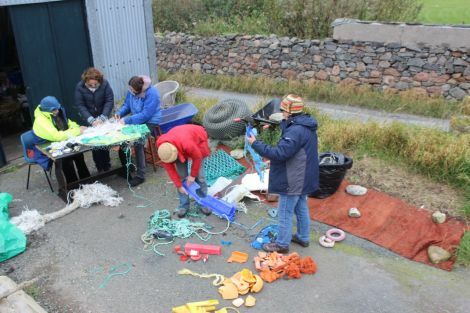 The group is also looking into setting up community compost schemes and wants to gather stories from crofters and fishermen about the changes they have witnessed with Shetland’s climate in recent years. Meanwhile Da Wives have been chosen as one of WECAN’s images to promote the day of action on 29 September, along with women’s actions from Nigeria, Bolivia and Indonesia.